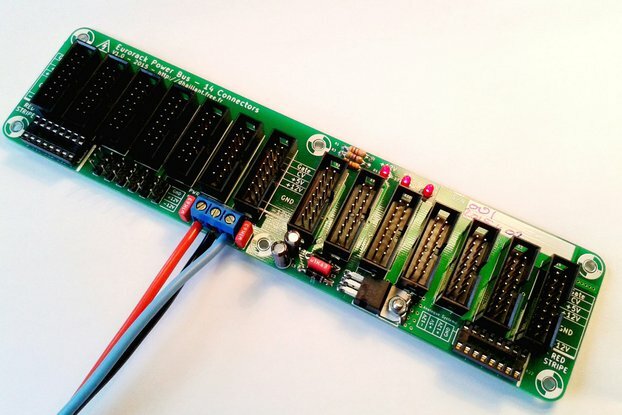 Row power distribution pcb for Eurorack format modular synth. 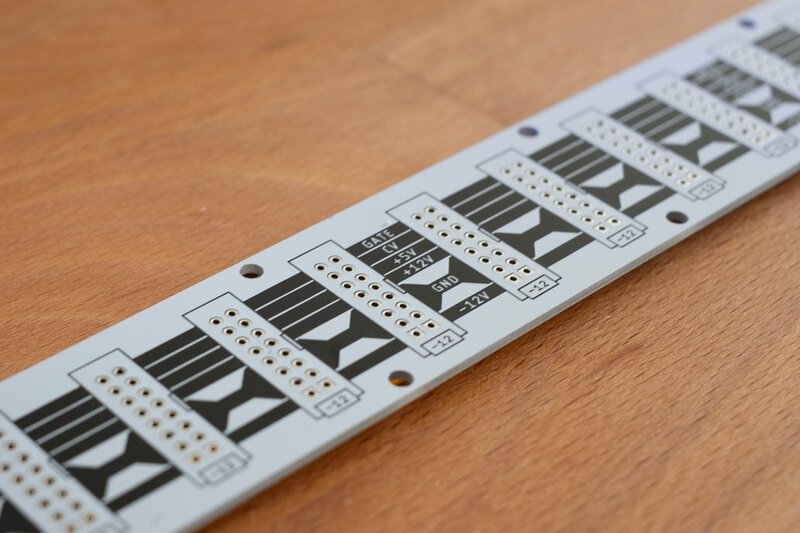 Row power distribution pcb for Eurorack format modular synth cases. Space for twenty-one module power connectors (8x2 IDC, 2.54mm pitch), plus 4.8mm spade connectors on both ends for the four power rails. 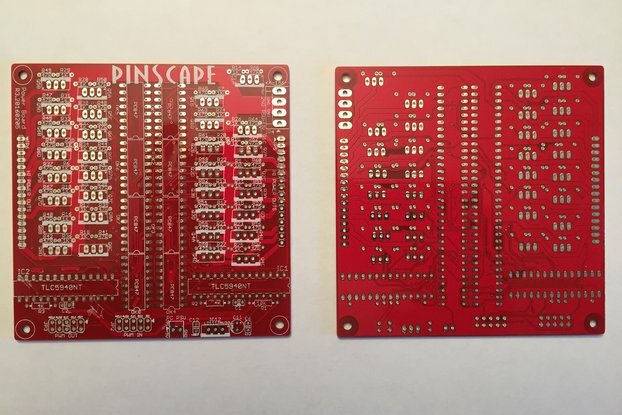 Please note that this is a bare PCB; no additional hardware is provided. 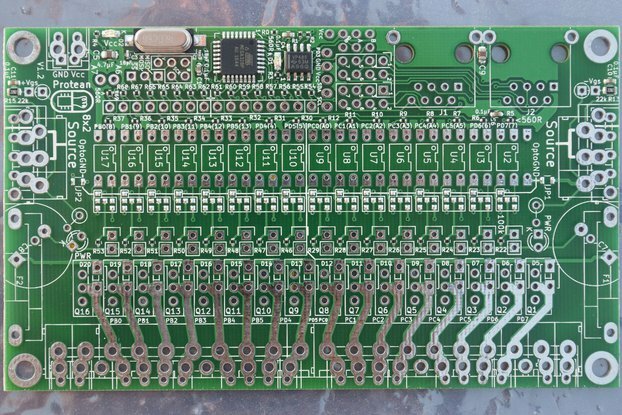 The board is easy through-hole soldering, but additional hardware and assembly is required. Sized to fit easily in 84HP row, can be used at larger row widths (i.e. 102HP). Ample mounting holes for M3 screws. Solder all socket connectors to board. IDC connector orientation is marked on top of PCB, with tab slots on right hand side. 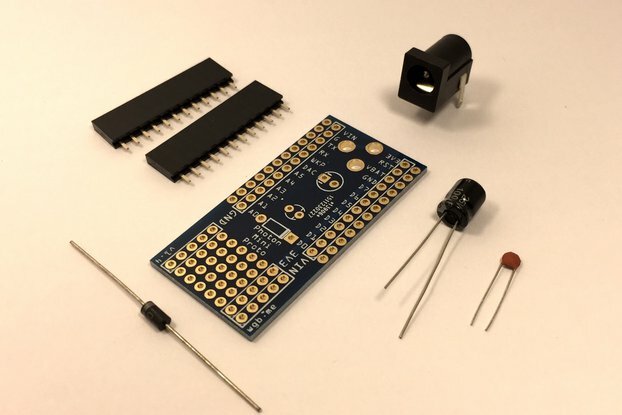 If using the 4.8mm spade connectors to deliver power, solder to board. There is no orientation requirement. Always check cable orientation before powering a module from this board. Many 3rd party / DIY modules have no protection when plugged in reversed, and shrouded keyed sockets only work when cables are themselves correctly oriented.